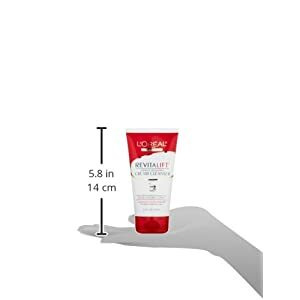 L'Oréal Paris Revitalift Radiant Smoothing Cream Cleanser, 5 fl. oz. Nourishes, boosts, and exfoliates skin. 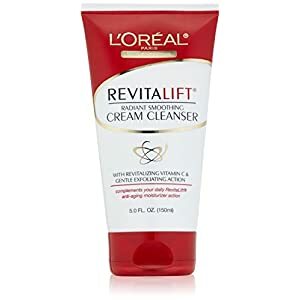 RevitaLift Radiant Smoothing Cream Cleanser is specially formulated to nourish skin and boost radiance while gently exfoliating and removing all traces of impurities and makeup. Skin looks smoother, brighter and more refined. Helps to remove all traces of makeup and impurities. Gently exfoliates dead skin cells and helps enhance skin smoothness and radiance. 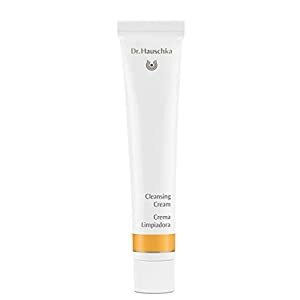 When used as part of a complete skincare regimen, this cleanser complements the performance of your daily RevitaLift anti-aging moisturizer action. Deep Cleansing. Gentle exfoliate. 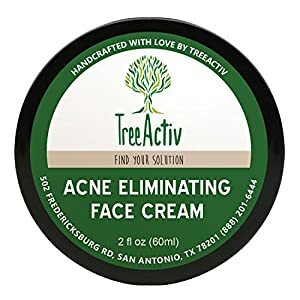 For all skin conditions. 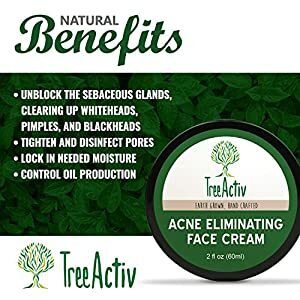 Preserves the skins natural acid layer. Leaves skin clean and rejuvenated.